Dan anchored Nightline on Friday, May 23rd for an episode that covered an array of topics. It began with a story that investigated road rage and why drivers can snap. Although road rage has been around since the times of horse and buggies, it seems to be a growing problem with more cars on the road than ever and cameras around to capture the incidents. But where does this kind of violence come from? It seems like sometimes those who exhibit these behaviors are unlikely candidates. Nightline interviews a psychologist who specializes in studying road rage and provides tips on how to prevent it. 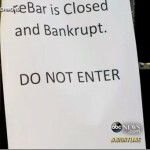 Next up, what would you do if your wedding venue suddenly closed down and the owner disappeared with your check? Nightline investigates a popular New York City venue that suddenly closed for good without even telling the staff or hundreds of couples who had paid deposits for their dream weddings. See what happens when the owner finally gets confronted after being on the run. Watch the full episode here.